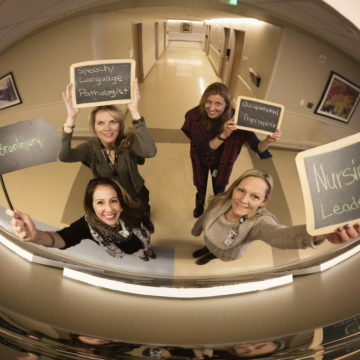 Tiffany Newton, an Occupational Therapist at Craig Hospital, noticed there was something missing on the Traumatic Brain Injury floor amid the construction project. 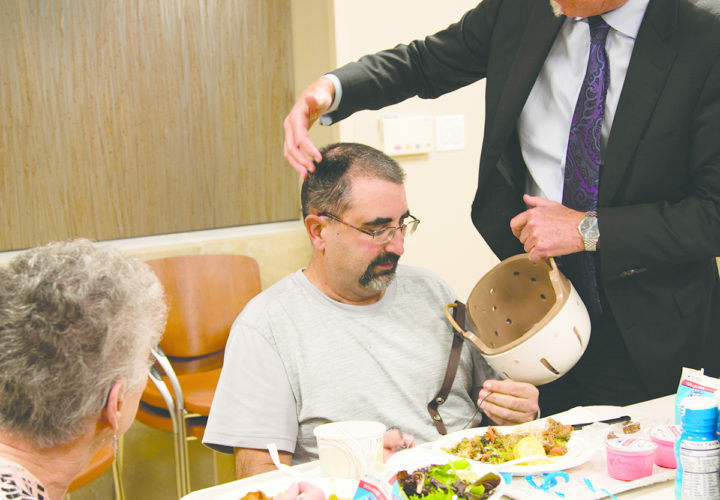 A place that once bustled during mealtimes was now quiet—and patients were missing out on the opportunity to socialize with one another over a meal. Prior to construction, patients all gathered in the gym at mealtimes. 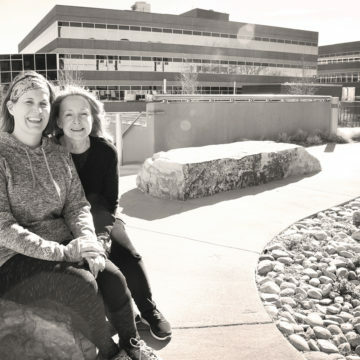 Now, there are bistros on each floor where patients can eat, but the period of time between the closing of the gym for food services and the opening of the bistro was eye-opening for Tiffany. Dr. Alan Weintraub checks on a patient during "Restaurant Night"
Tiffany noticed that by not having group mealtime, patients were missing out on key opportunities and families were missing the opportunity to meet and socialize with other families. As a way to bridge the gap, Tiffany came up with “Restaurant Night”—a weekly group meal where patients, families, and staff from across the hospital meet at the bistro and have a group meal together. 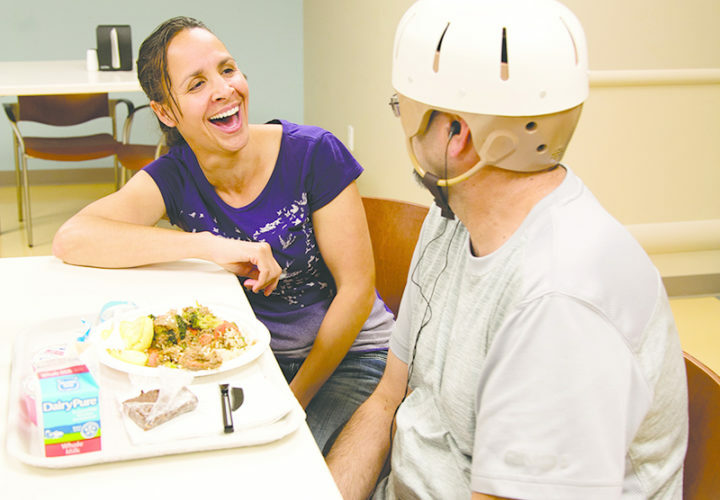 Occupational Therapist Tiffany Newton laughs with a patient during "Restaurant Night." 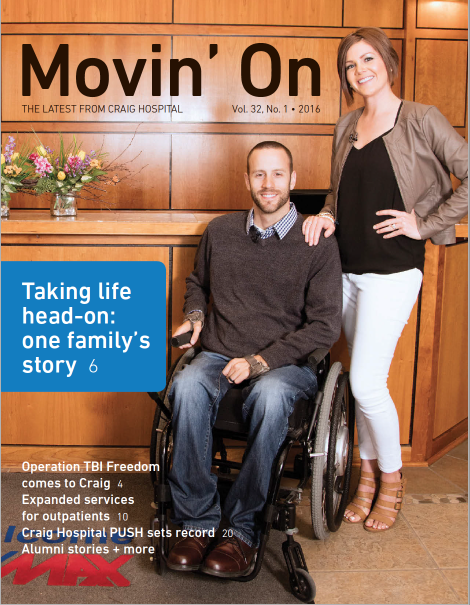 Restaurant Night is now a weekly tradition at Craig and is an essential activity for patients. For most people, going to a restaurant is fun and relaxing—but for people with traumatic brain injury, it can be daunting. Just as with grocery shopping, cooking, and other activities of daily living, occupational therapists like Tiffany are always looking for innovative and creative ways to help patients overcome barriers and learn how to enjoy life to the fullest.